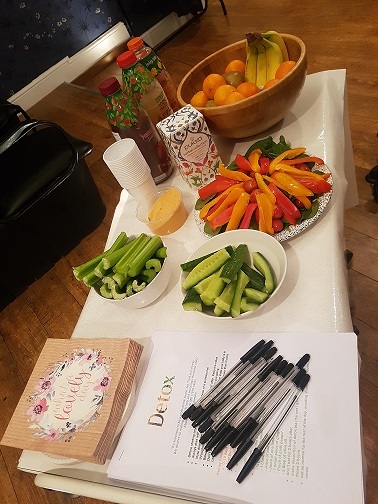 On Tuesday 23 January, Anna hosted a Detox workshop at the salon. She helped us to understand what detox is, why it would benefit us and how we should do it. Using her herbal and aromatherapy knowledge she taught us a very simple, easy to follow and inexpensive routine using everyday items found in our kitchens. We even tried a shot of the Liver Flush drink she encouraged us to try as part of the detox plan - complete with apple juice, olive oil, garlic, ginger, chili, to name a few ingredients! 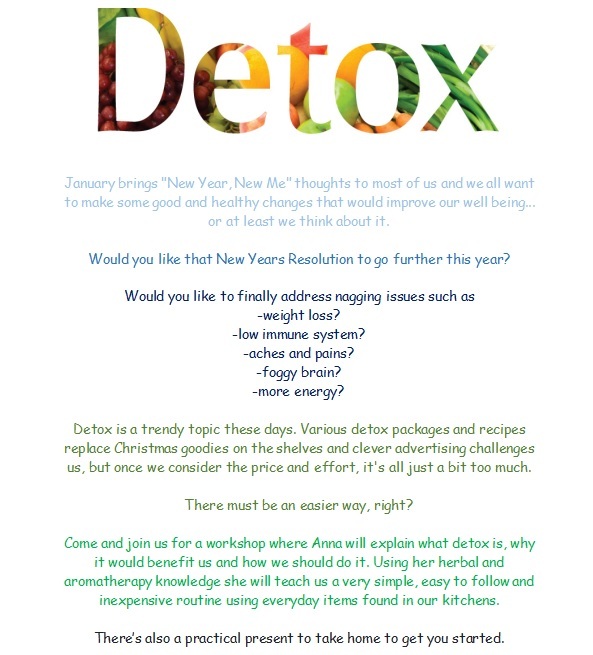 We all left feeling enthusiastic to give the detox a go to help us with some of our new years resolutions such as weight loss, being healthier and eating better. This detox workshop generated a lot of interest therefore Anna is planning on doing the workshop again at a later date for those who weren't able to make it on this occasion. Please speak to Anna if you are interested in going on the waiting list for this.